this is a piece i did in late 2007. i was just weeks away from graduating and i was sick of all the advice, suggestions, and hype surrounding our graduation from the illustration department. 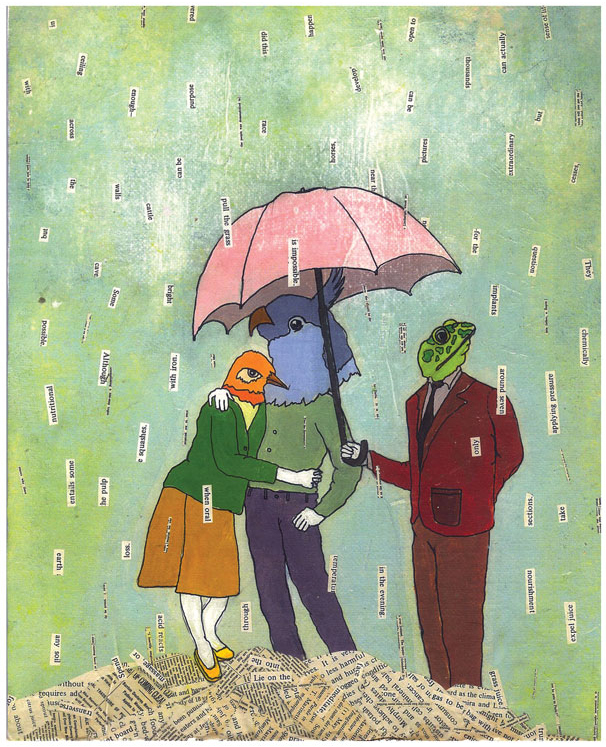 it is a picture about being overwhelmed and flooded by words – i’m not sure if i am the frog or one of the birds. perhaps i am not just one of them, but all of them.